The groundbreaking celebration and blessing was held on a lovely sunny Saturday, August 22. Thirty-two people gathered to sing, pray, dance, and dream of the new thing that is to come at Pathways Retreat. mission, and steadfastly toiled to cultivate a new thing. other requests that are asked of them. The workers and volunteers who will toil together to create new space. reflection, and renewal with God. Come and watch the new construction springing forth! 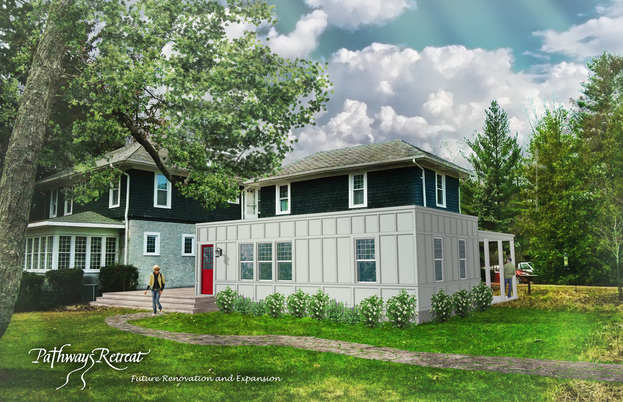 January 18 update: The funds needed for Phase I of the construction project - to expand the retreat house - have been received! Thank you to 131 generous individuals, churches and businesses! The donor list indicates that the broad, diversified base of support for this building project is moving Pathways from a "private" to "public" ministry. a welcome area and outdoor meeting space. The parking lot improvements and water retention area are required by the city and must be completed by June 1, 2016. Donations continue to be gratefully received! 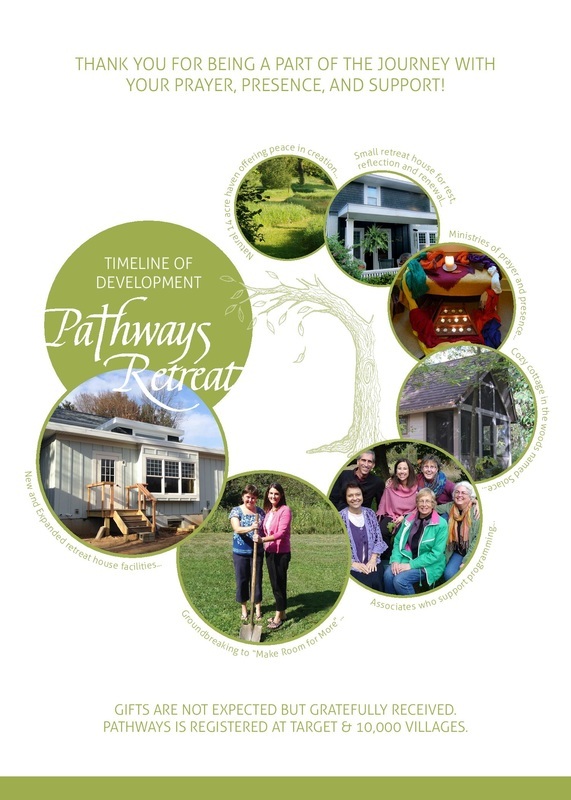 Noticing the Spirit’s movement and listening for God’s invitation, the Board of Directors believe Pathways Retreat is to expand its services, hospitality and healing presence within the Elkhart County community by enlarging the Retreat House. See the plans...Read the FAQ flyer! How might you support the expansion of this ministry that is the only one like it in Elkhart County? By making a financial contribution by June 2016. Please contact us and let us know what you would like to contribute or contribute now by pay-pal or check. - select "friends and family" and sign in to or create your account. No fees will be charged to you or to us if the transaction is funded with a bank account. Credit card transactions will incur a fee. Of course, you may also do it the old-fashioned way and send a check made payable to Pathways Retreat. Either way - we gratefully thank you!